Whether it’s Spring or Autumn where you live, it’s always a good time of year for comfort food and a good sweet romance. 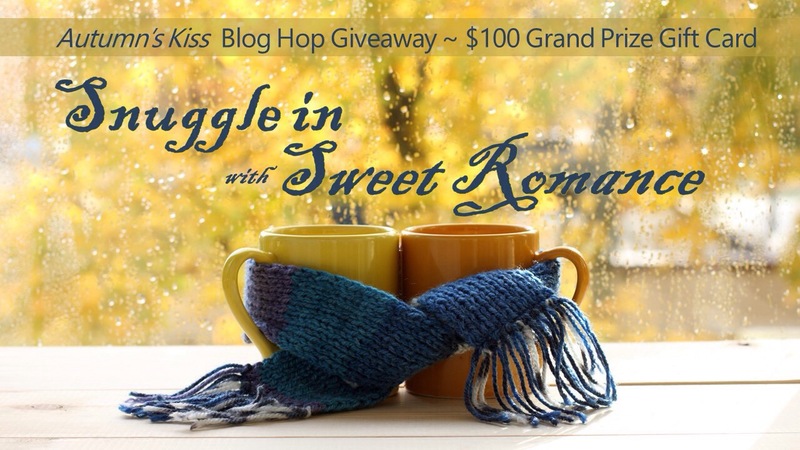 So snuggle in with the Autumn’s Kiss anthology while you savor an apple turnover. You’ll find the recipe below. My contribution to the anthology is Soft Burgundy Nights. Here is an excerpt for your reading enjoyment. I hope you like it, as well as the other amazing stories filled with romance. You can enter to win a copy of my new release by commenting on my blog. Rafaele Marchetti drove up to the front of his childhood home. Stepping out of the rented black SUV he looked around at the vines, heavy with ripe grapes, ready to be relieved of their burden. His attention then travelled to the sprawling three-story stone villa with wide steps leading up to the double doors. A grape-shaped placard with the Marchetti name adorned the area over the door. It had rained earlier. The sunlight gleamed off the wet stones. Everything was exactly as it had been the last time he’d seen it ten years ago, the day he had graduated college and left. When he could not delay any longer he grabbed his suitcase out of the back and walked up the steps. He put his hand on the doorknob and turned it. It was unlocked as usual. He shook his head. How many times had he told his dad to keep it locked? Some things never changed. Setting his suitcase down by the door, he walked further into the house. It was quiet. Finally, he saw movement in the pool. Surely, the old man wouldn’t be crazy enough to be swimming after just having had a heart attack. He hurried outside. When he stepped out he saw his father sitting in a chair on the patio, watching the swimmer. Relieved that it wasn’t his father in the pool he momentarily forgot about the swimmer, focusing on his father instead. “Long.” Although he was expecting his father to look ill, he was still shocked at the pallor of the older man’s skin. He had also lost weight, and several lines had formed on his face. Rafaele couldn’t help wonder how many of those wrinkles were his fault. His father nodded, never looking up at him. The silence was broken by a splash in the water. Rafaele turned in time to see a laughing golden goddess emerge, with pale yellow hair streaming down her back and shoulders. He had never seen anything so perfect. “I finally did it, Leo. Did you see me?” She asked. She hadn’t seen Rafaele yet because he was partially hidden from her view by a wooden pillar. “I sure did, told you if you practiced enough you could do it.” Rafaele stiffened when his father’s voice softened as he spoke to her. His eyes narrowed as he watched the exchange between them. “You were right, as always. Don’t let that go to your head, and don’t tell anyone I said that because I will deny it.” She dried off quickly and pulled on a sheer turquoise cover-up while she chatted, never looking up. “I’ve let you distract me from work enough for one day. It’s time I head back to the office to…” Her words stalled on those beautiful, full red lips when she spotted him, as he was now leaning against the pillar in full view, arms crossed. “I didn’t realize we had company.” Her smile looked forced. We? She lived here with his father? He did nothing to hide neither his skepticism, nor his admiration of her barely concealed curves as she walked toward him. Her step faltered when their eyes met, but she continued forward. When they were a mere two feet apart she stopped and extended her hand. So she had access to the whole house. Did that include his father’s bedroom? He studied her for a moment, her bright smile fell slightly as she bit her lip. Her ice blue eyes chilled the longer he hesitated. She looked from Leo to Rafaele and without another word, she went into the house. Jessica closed the door to her room and with her back against the door, slid down to the floor. She was shaking. Her greatest fear was downstairs in the form of Rafaele Marchetti, a six-foot-two Italian male, with dark curly hair and gray eyes she felt could see to her soul when he looked at her. When Leo had his heart attack she had feared for him, but she also feared for herself. If he died, she would lose the only family she had ever had, as well as her home. Leo had assured her he’d made plans for her future, but he refused to tell her what they were. Now, with Rafaele back, there was a great possibility she would have to leave eventually. Leave her home and Leo. She was no longer the scared eighteen-year-old girl with no home and no family she had been seven years ago. She was a confident woman with a college education and a great job. If she was so confident, why was she sitting on the floor, hugging her knees? How could she let him reduce her to a quivering, scared little girl by means of a scathing glare and a few words? She unhooked her arms from her legs and stood up. She was made of sterner stuff. As for his comment about calling her “Mom,” how dare he accuse her of something like that. Betty Crockers Easiest Apple turnovers. 1Heat oven to 400°F. Line cookie sheet with cooking parchment paper. 2In 2-quart saucepan, heat apples, butter, brown sugar, cinnamon and cornstarch to boiling over medium-high heat. Reduce heat; simmer about 5 minutes or until thickened and apples are tender. Set aside to cool slightly. 3Sprinkle work surface lightly with flour. Roll out thawed puff pastry into 15-inch square. Cut into 4 smaller squares. 4Brush each square with egg wash; spoon apple mixture onto center of each. Fold each in half diagonally to form a triangle; press edges together to seal. Use back of fork to crimp edges. Transfer to cookie sheet; brush with egg wash. Use sharp knife to cut a few vents into each turnover. 5Bake 25 to 30 minutes or until golden. <a href="https://static.inlinkz.com/cs2.js">https://static.inlinkz.com/cs2.js</a&gt; <!– end InLinkz script –>” target=”_blank”>Visitors must visit every blog to be entered to win. Click the following link to enter to win one of five prizes, and don’t forget to enter my favorite comfort food to prove you visited my blog. Whenever I write a novel, I am amazed at the things about myself that end up in the book. It could be little details like my clumsy nature or something much deeper. I didn’t realize how much Mamarazzi I had in me until the book was complete. 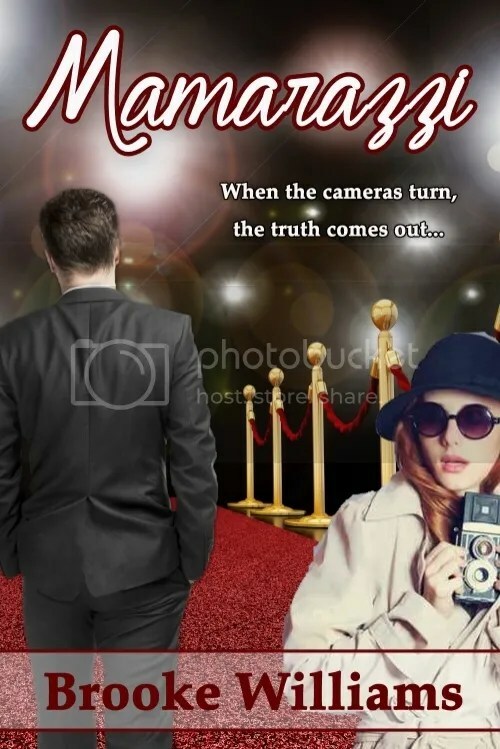 In “Mamarazzi,” Danica, the main female character, takes pictures of celebrities paparazzi style. She does this to pay the bills and in hopes of making it in the legitimate photography world. She wants to work WITH the stars and take their photos for magazines and so forth. While she searches for a way to break into that world, she hides behind bushes and sells photos to make ends meet. While I can’t say that I’ve ever been good at photography, I do admit that writing has always always been a part of my life. When I was little, I used to cut pictures out of magazines and glue them to blank paper and write stories about the pictures. I then sold these “newspapers” to my parents for a nickel. And they had to buy them to get their pictures back! Ha. I should have known then I was meant to be a writer. Like Danica in “Mamarazzi,” deep down I knew what I wanted to do with my life. I wanted to write. However, unlike her, I spent years in denial. I worked in radio for over a decade and the only writing I did was short scripts for commercials and promotions. The itch to write was there, but I put on a balm and kept trucking. In the meantime, like my main character, I kept glancing over at the other side of the fence, wondering if the grass was greener and if I’d ever find a way to climb over it. In hindsight, I wish I had been more like Danica in past years. She knows what she wants and she goes for it. She does whatever it takes to get there, too! I wasted a lot of years not writing. I should have gone for it long ago, even if no one ever read what I wrote. I can’t deny my love for writing and I never should have allowed myself to shove it away. As you read Mamarazzi, ask yourself if you have any Mamarazzi in you. Is there something you want to do in your life, big or small, that you’ve been denying? Danica would say, “Go for it!” You never know what you might be able to achieve unless you try. And if you fail? Well, at least now you know! I hope you enjoy “Mamarazzi” even half as much as I enjoyed writing it. Thank you to Ruth for allowing me to take over her blog as a guest today! Point of view (POV). When you get a bunch of writers together, those three letters can start a good, old-fashioned donnybrook. These days it seems everyone’s got an opinion on the subject. I’ve even seen readers mention it in book reviews. It’s a topic I find fascinating since the trend lately is to have a very rigid, controlled POV, even if there are multiple POVs in the story itself. I, personally, love a good head hop if it’s done well and with some finesse. Changing POVs within a sentence or paragraph = no. Changing POVs in a chapter or scene (without the obligatory scene break!) = I’m on board. Here’s the thing. I’m a fan of some old school romance novels. Ms. Judith McNaught, whom I consider incomparable, can head hop like nobody’s business and I think it’s done so well, I don’t mind one bit. In fact, when I first began to study writing and was told OVER AND OVER again by everyone how I MUST restrict my POVs, I went back and read several McNaught books to see how she did it, if it bothered me (now that I “knew better”), and if not, why not. I recently wrote a blog post for H&H on angsty scenes where I mentioned a specific scene in Whitney, My Love and how wonderful and rich it was because of the multiple POVs. I repeat, because of the multiple POVs, not in spite of the multiple POVs. In the scene I examined, we have the heroine’s POV, the brother’s POV, and the mother’s POV all in the same SCENE. Not book, scene! And I shamelessly adore it. I don’t have a bit o’ trouble following it and I find that it adds a level of complexity that would otherwise be lacking in the scene. Now, I know that there is an entire camp (a big camp! more like a commune actually) of writers and reading purists who will tell you that a skilled writer can achieve that same level of complexity using only one POV. They’ll tell you that multiple POVs are simply out of vogue, no longer done, ’80’s-tastic. “It’s not deep enough,” they say. “You’ll jar the reader out of the story,” they cry. Well, I’ve read Whitney, My Love probably 50 times (er, not an exaggeration) and I’m positive I have never once been jarred. Never. Once. And no discussion of on POV in romance novels would be complete if I didn’t mention that Nora Roberts herself is an aficionada of the POV switch. Hasn’t hurt her sales a bit, has it? So, what gives? Am I just retro? Am I the only one who likes a little head hopping upon occasion? First of all, as a reader, do you even notice some head hopping and if so, convince me. Why is head hopping so wrong? Do you have any beloved head-hopping authors? Authors want to reach as many people as possible with their books. Naturally, that includes those who speak other languages. To accomplish that we have to have our books translated. Where can we go for said translation and how much will it cost? In doing research I discovered there are many translation companies out there we can hire to translate. They have experienced, talented translators. Many testimonials from satisfied customers, and exorbitant fees to ‘prove’ they are good. I’m not saying that translators don’t work hard, because they do. But for most struggling authors who are not New York Times Bestsellers, paying thousands for the translation of one book is not feasible. Does that mean we can never have our books translated? Never reach the millions of people who speak other languages? I decided I don’t want to miss out on that opportunity. So, I set out to translate one of my books. Being a native speaker of two languages, I decided to put my own skills to use and translate it myself. How hard can it be? Turns out, much harder than I thought. Even though I grew up speaking two languages simultaneously, there were a lot of words I did not know, which I had to look up. That takes time… lots of time. I discovered a good Spanish-English dictionary and thesaurus are invaluable. It also helped to read other books in my genre that had been translated to see how they are formatted. In the end, after several weeks of challenging work, I have completed the translation of Tender Triumph. Next step, I will send it to a professional editor/proofreader to be polished. Once that is done I can send it to the publishing company. I was fortunate to have the skill needed to translate my book and not have to pay thousands of dollars to a professional translator. I certainly don’t have the $.09-$.14 cents per word they normally charge. At that rate, the work I did would have cost me roughly $1500. That is my translation story. Tell me yours. Have any of you had a book translated or read a translated book? “Falling in love with me?” His palm cupped her cheek tenderly. “I can’t.” A tear fell down her cheek, and he caught it with his thumb. “You don’t have a choice.” He took her lips in another kiss. Softer. Slower. He was right. She did not have a choice. Her heart had already decided for her. Being a published author is a dream come true, a dream that began 24 years ago. I began writing as a teenager and because of various circumstances stopped and did not start writing again until seven years ago. It began as a hobby, but then I thought why can’t my work be published? I think it’s pretty good, or at least I hope so, there must be someone out there who would enjoy it. So began my journey to publication. I started out by joining a critique group. I needed to find someone who could be objective and tell me if my writing was terrible. The members of the group offered me some advice, but many of them were as amateurish as I was so I didn’t feel I could take their advice or opinions seriously. I then found two excellent critique partners, both were published authors. They took my work and tore it to shreds, and I love them for that. Because of their honest critique of my work I was able to grow as a writer. I tried hard to apply their suggestions and learn from them. Eventually, I took an online writing class which helped me develop my craft of writing, my voice. During all this time I was writing feverishly. Then one day I found what I had been waiting for….a publisher had open submissions. But, there was a catch, the book had to follow a specific story line. It had to be a sports romance. And, there was a deadline. When I am creating I don’t do well with deadlines. I decided to give it a try anyway. Well, I missed the deadline, but I wrote a great sports romance novella and called it Homerun. My critique partners critiqued the heck out of it, and when they were done I had a very nice manuscript, but no where to send it. After much searching I found a publishing company accepting unagented submissions. So, I took a leap and sent it to them. A few months later I got the email. I had to read it several times to make sure I was understanding it correctly. I couldn’t believe what my eyes were seeing. I took it to my husband to make sure. And, sure enough, they had offered me a contract for Homerun. I was over-the-moon excited. The contract was signed and now I waited to get my edits back. When my editor sent it back, my beautiful manuscript was in shreds again. She used red as if it were going out of style. After four rounds of edits it was finally ready. My book was going to be published. The day it released was momentous. I didn’t think My dream of being a published author would ever come true. Yet, there it was, my book was available for all the world to buy and read. That is when I discovered just putting it out there does not mean people will find it. There are hundreds of thousands of romance novels in the Kindle store, so how do I make mine visible? The publishing company helped with that some, but I found that I had to be responsible for marketing my work. Here I am, almost three years later and four books published, I still don’t have the whole marketing thing down. So far my books have sold about 2,000 copies. That is not many at all. What is an author to do? Keep marketing or keep writing? There just aren’t enough hours in the day to do both. Ernest Hemmingway has been called the master of dialogue. So who better to go to for advice than a master? On writing great dialogue he said: When people talk, listen completely. Don’t be thinking what you’re going to say. Most people never listen. So how can we take that advice and put it into practice? I’m going to cover five things we can do so that our books have great dialogue. 1. Listening is the beginning of great dialogue. We are around people everyday, whether it’s at work or at school, while we are shopping, when we take our kids to the park. People are everywhere. Most of the time we tune them out. Now it’s time to tune back in. Develop the skill of eavesdropping. What are their speech patterns? What’s the content of their conversation? Our goal as writers is to make conversation between two characters seem realistic. However, we can’t make it too real. Huh? Try to transcribe an actual conversation. Chances are it will be tedious and wordy. How extremely boring is that? Yet we have all had similar conversations. Therefore, when we listen we do it with an ear for content. How do people speak? When we write it we do it in a way that will read well. Remember, people read dialogue with theie eyes, they do not hear it with the ear. Assignment: Take a notepad and a pen to your local coffee shop, mall or park. Somewhere you can sit close enough to people to hear them speak without crowding them. Now proceed to write what they say, every word. You will be amazed at what you learn about dialogue from this little exercise. 2. Tags or Attributions. I once read a book by a well known and liked author who did not use dialogue tags. It was so frustrating because I’d have to go back and count the lines of dialogue to figure out who was talking. I eventually gave up. The whole point of dialogue tags is to know who is talking. Read the following passage from a short story, Here We Are by Dorothy Parker. I’m going to take all the dialogue tags out to see how it reads. She had been staring raptly out of the window, drinking in the big weathered signboards that extolled the phenomena of codfish without bones and screens no rust could corrupt. As the young man sat down, she turned politely from the pane, met his eyes, started a smile and got it about half done, and rested her gaze just above his right shoulder. Without dialogue tags we have no way of knowing who is talking until the final line when we know it is the young man asking her the question. Now read it with the dialogue tags. Isn’t that so much better? When using dialogue tags, ‘said’ is normally sufficient. Avoid ‘ly’ tags such as ‘she said loudly,’ ‘he said laughingly.’ He proclaimed and she exclaimed are also ones to avoid. Let the characters words speak for themselves. If dialogue is written properly the reader will know if the character is yelling, if there is tension in their voice, if the character laughed immediately after uttering those words. 3. Don’t use dialogue as a way to dump information on your reader. Some writers make the mistake of using dialogue to reveal facts that the other character should already know but the reader does not. For example, “As you know, I just graduated from nursing school and am working in the ER at the hospital in town,” Jane said to her brother. That was an information dump. Since her brother already knew that, there was no reason for the line. The best thing would have been to give that information in the narrative and keep the dialogue clean. 4. Slang and dialect. Again we go to the master, Ernest Hemmingway. Never use slang except in dialogue and then only when unavoidable. Because all slang goes sour in a short time. To much slang can distract the reader and pull them out of the story, it’s best to use it sparingly. The same is true if your character has an accent, whether it be British, a southern drawl, or is from Boston. Giving a character an accent can be a way to distinguish them from other characters. However, it is possible to overdo it. A little goes a long way. Making it clear to the reader that the character has an accent and stressing that fact in a few words here and there is enough. Anything more risks offending or alienating the reader. 5. Break up dialogue with beats. A beat is a characters physical action interspersed in the dialogue. It sets the scene as readers can see the character moving as they speak. This adds realism to the story because a person very rarely sits perfectly still when they are talking. Some people talk with their hands. Others work while they carry on a conversation. Beats brings all that into the story. Read the following passage from Judith McNaughts Until You and see if you can pick out the beats. Assignment: Read a scene containing dialogue in one of your favorite books. Look for the beats interspersed in the dialogue. Now take your WIP and write or rewrite a scene of dialogue including beats. How brokeness can make you whole.